You may have read Alice’s Adventures in Wonderland as a child, but did you know that Lewis Carroll’s titular character was based on a real girl? 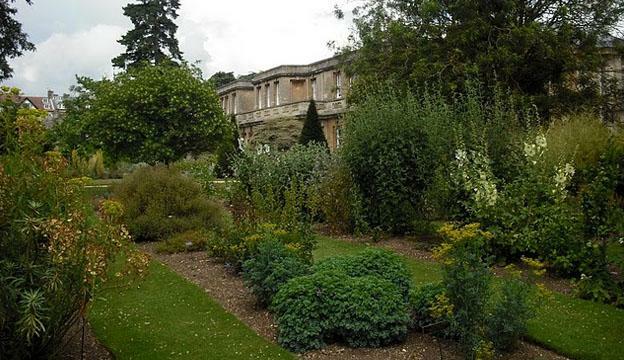 You can follow her footsteps—and Carroll’s—throughout the city of Oxford which inspired large parts of Wonderland. The real Alice was a girl named Alice Liddell whose father was Henry Liddell, Dean of Christ Church at the University of Oxford from 1855-1892. 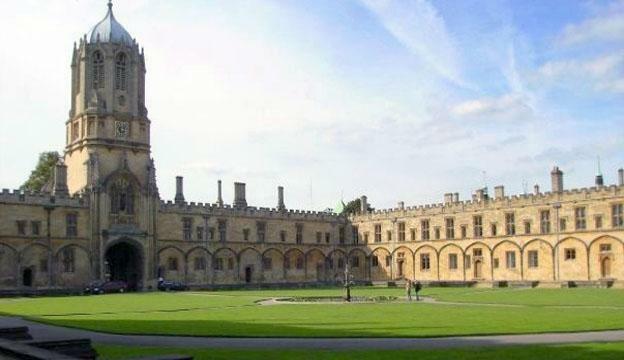 Alice lived with her family in the Dean’s rooms on the college grounds, and it was at Christ Church that she met Charles Dodgson, a former student who became an Oxford don teaching mathematics. Dodgson and Alice became friends and explored the grounds of the college, Dodgson creating elaborate fantasy stories for her based on the architecture and greens including the croquet lawn, the beautiful garden, and the knobbly tree which inspired the Jabberwocky. Later, when he published these stories as his first Wonderland novel, he used the pen name Lewis Carroll. Today, the stained glass windows of the dining hall include pictographic representations of Carroll and Alice. Visitors can see the dining hall as part of the general tour and may see the private grounds by special appointment with the college. 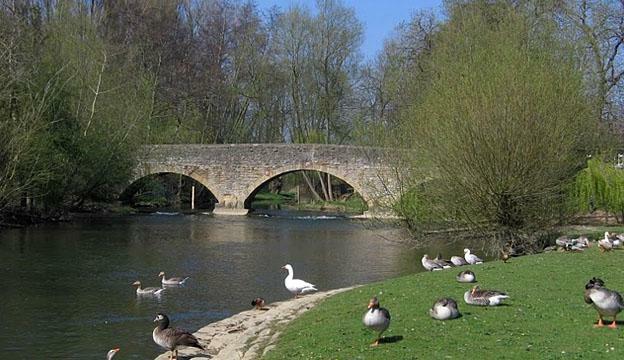 On the High Street near the River Cherwell lies the Botanic Garden which inspired part of the beautiful garden in Wonderland as well as the talking flowers in Through the Looking Glass. Carroll often visited the gardens with Dean Liddell or his wife and their children—Alice as well as her sisters and brothers. Some of the flower beds contain varieties that grew so tall that they would have towered over the Liddell children, making them feel as small as Alice does in her story. In fact, the garden played such an important part of Carroll’s creation of Wonderland that he worked with his illustrator, Sir John Tenniel, to include the greenhouse dome in the background of the panel depicting Alice meeting the Queen of Hearts. The Botanic Garden is free to visitors during the week and charges a modest admission fee for non-students on the weekends. 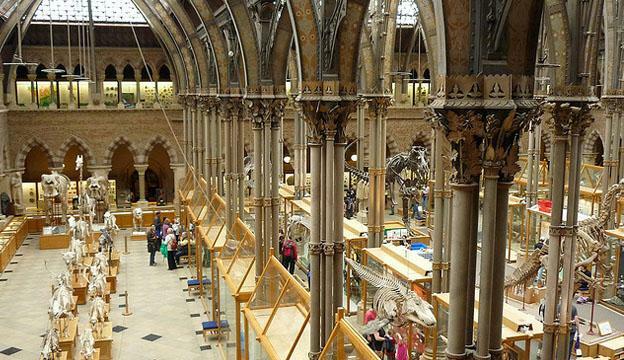 Alice and her siblings were often chaperoned by Carroll and other friends of their parents on visits to the many museums around Oxford, especially the Museum of Natural History. The museum boasts an impressive collection of zoology, geology, and entomology. The Wonderland stories feature a number of talking animals which were directly inspired by the exotic specimens housed at the museum: a flamingo, a walrus, a deer, even a dodo skeleton that is over 400 years old, just to name a few. Today visitors can see a special collection entitled “The Real Alice” which details Alice and Carroll’s history with the museum and its artifacts. Admission to the museum is free though donations are encouraged. During their friendship, Carroll told Alice numerous fantasy stories to entertain her and her sisters. But if you want to see where he told her the definitive Wonderland tale, go to north Oxford to a small suburb called Wolvercote. Across the river Isis (part of the Thames) you will see the ruins of Godstow Abbey where Alice, Carroll and company often had picnics and enjoyed row boat rides down the river back to Oxford. On July 4, 1862, Carroll and the Rev. Robinson Duckworth took Alice and two of her sisters on a rowing trip down the Isis starting at Godstow. Carroll entertained the girls with a new version of the story featuring Alice having an adventure in Wonderland after falling down a rabbit hole. Alice Liddell asked him to write it down for her, and in 1865 the first edition of Alice’s Adventures in Wonderland was published. The ruins are available to see for all who walk along the Isis, and meals or drinks may be enjoyed at a nearby pub called the Trout that overlooks the river. Analise Willosn, the author of the “Find Alice`s wonderland in Oxford” is a true Anglophile and former cost-conscious student who lived in England for a semester. She recommends using Hotels-Fairy.com to book all travel adventures domestic and abroad.